Join thousands from throughout B.C. 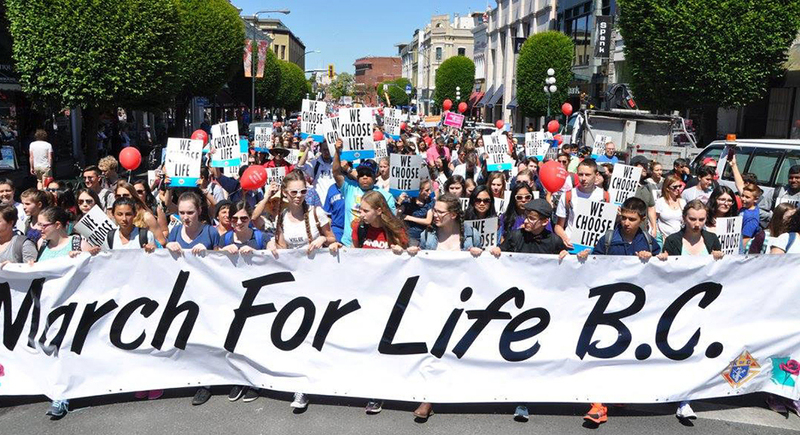 on Thursday, May 10, 2018 for the 11th annual March for Life, Victoria. Marchers should be at Centennial Square by 1:45. The March will leave at 1:45, and head down Government Street to the B.C. Legislature. Marchers will arrive at the Legislature front lawn at approximately 2:15 PM for the Rally for Life, which will have inspirational speakers and lively music until 3:15 PM.